Republican House member Robert Ross of nearby Texas County sponsors one of the bills. "Money that was intended to help those individuals dealing with these issues – drinking water projects, remediation, lead abatement, not all that different than what we've seen going (on) in Flint, Mich., – this money was set up to help these individuals," Ross said. "But rather than sending it and directing it to help these individuals, the governor has now decided to use that as part of his own personal slush fund to come in and buy more property in an area disconnected and unaffected by lead mining." The other bill, which is identical to Ross', is sponsored by Rep. Jay Barnes, R-Jefferson City. (l-r) 8th dist. 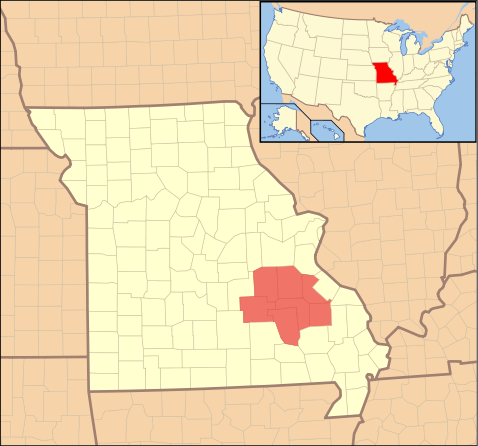 U.S. Rep. Jason Smith, R-Missouri, and Mo. State Rep. Robert Ross, R-Yukon, oppose turning state-purchased land in Oregon County into a state park. 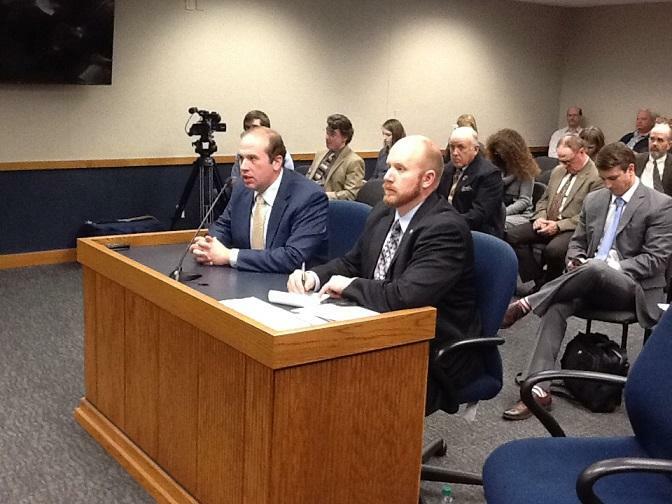 U.S. Rep. Jason Smith, R-Salem, also testified in favor of the bill to block the creation of the state park. He accused Nixon administration officials of making little to no effort to seek public input before purchasing the land for the state park. "Basically, there were three public meetings, (and) not one (took place) in Oregon County where over 4,000 acres were purchased," Smith said. "The public notice for these hearings was at two locations: it was on the DNR website, and it was also (on) the federal register ... thousands and thousands of pages in the federal register. How many people in this room look at the federal register and the DNR website every day, just to see if there is something happening in their backyard?" Other opponents accuse Nixon of wanting a new state park to help establish his legacy during his final year in office. 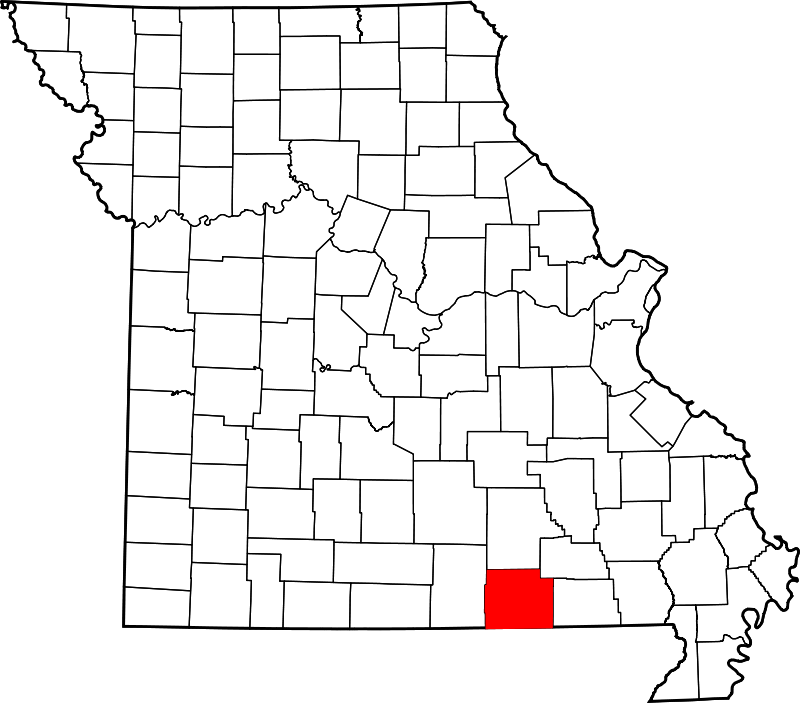 Oregon County is a bit more than 3 hours south of St. Louis. Carolyn Amparan with the Missouri chapter of the Sierra Club spoke in support of the planned state park. She said it would help boost tourism, and that there was nothing improper about the purchase of the site. "We believe that it is certainly within the bounds of the settlement agreement that this money be spent on acquiring new land to protect," Amparan said. "There was a specific set aside in the agreement that was designed to protect unspoiled land." 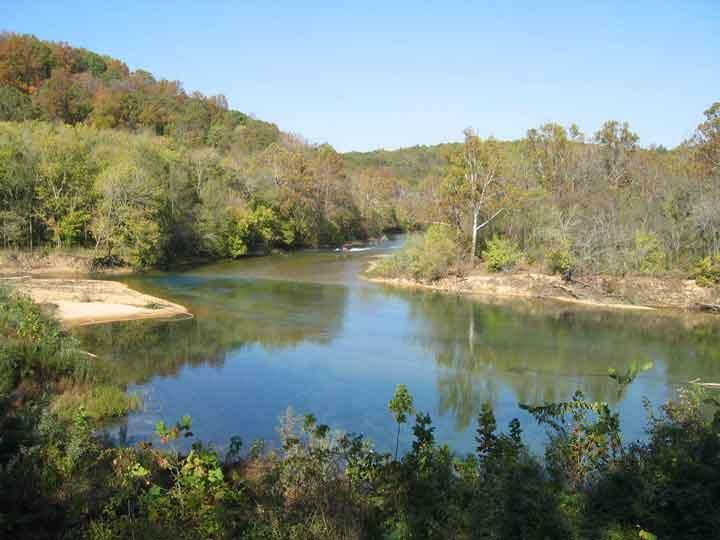 The proposed new park would be located in Oregon County along the Eleven Point River and near the Arkansas border. It includes the site of a former ranch where the Beatles vacationed for a few days during their first U.S. tour in 1964. The state approved the new regulations in November 2013 but needed federal approval to start enforcing them.